Craig – In late 2009 I was preparing to take my second trip to Nicaragua. I had visited a few years before in 2006 when I took a day trip to Jalapa from a home base in Danli, Honduras. This time I was staying in the cigar town of Esteli, and I couldn’t be happier. That was until I started hearing whispers of “special” cigars being made at the My Father factory. In January of ‘10 I had the pleasure to personally witness the manufacture of these very cigars we’re smoking tonight. 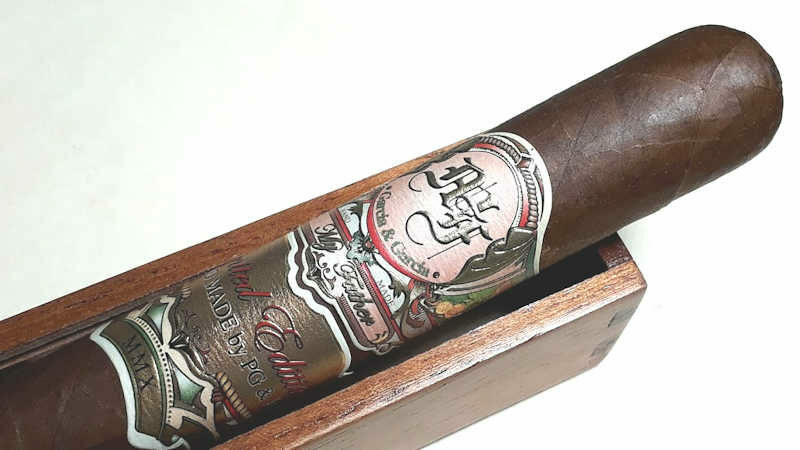 Jaime and Jose Garcia had individualized rolling tables next to each other at the head of their main rolling room where each and every one of these 24, 000 2010 My Father Limited Editions were made… by them. Pepin was 100% tight lipped about the experience except to say what later became his marketed release: 6-½”x52 all Nicaraguan innards grown at the farm. A Nicaraguan wrapper grown elsewhere. The only 1st hand thing I could take from the experience was their pride. Both Jose and his son were bordering on giddy about this project. I don’t know if they felt like the cigar was exceptional, rather I think they were proud to be doing what they know and love. The cigar is perfect in appearance and obvious construction. Color, weight, density, spacing “the face”, the prelight draw (albeit easier than I would prefer). I can’t score the cigar high enough on initial quality. It tastes almost dominican on the prelight with sweetness, cedar and a noticeable tingle of spice. These cigars were intimidating when my box was opened at 5 years old. The cigars were strong and bold. Both moreso than I would prefer. At approaching 10 years old I expect them to have continued in their maturation and overall balancing. Kip’s initial thoughts: Incredibly solid construction. Like…laser lined and leveled. Crazy good. Lovely, dark aroma of figs or raisins on the foot; less so on the wrapper. Near perfect draw, just ever-so-slightly more tight than what I’d call perfect. Some slight sweetness along the same lines as the foot aroma previously mentioned. The only real negative I can dig for is that it appears both of the samples I have were put into the casket while the finish was still wet. This sounds far-fetched because it doesn’t seem to make sense, yet there are splotches of varnish inside the casket and on the cello (thankfully it has cello). 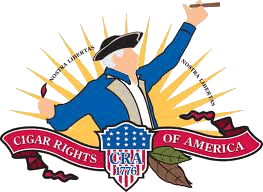 It doesn’t harm the cigars; just something I noticed. Presentation is tastefully and nicely done – showing care for the product and its appearance, rather than just simple “flash”. A bunch of people are shuffling around the industry, through RIF and incestuous fishtrading. On an individual level, I feel for these folks and hope they land on their feet in a position where they’re fulfilled and happy. Price increases are coming….happens about this time every year. I hope they’re of little impact. Several companies are releasing cigars they swear have been hanging out in storage just waiting for the right time. I hope they’re noteworthy. I hope the same for special limited vitolas in existing lines that seem to be oozing out of the woodwork. I’ve seen a few packaging schemes changing. Some of the changes don’t seem like progress. I hope it pans out for the companies and bears the intended fruit. Palio lighters are now plastic, under $20US, and come in cardboard counter-top boxes. I hope they’re worth it. Tatuaje El Triunfador #3 (5.625” x 46…ish; Ec Hab over Nica/Nica) – bought these from a friend’s big sell-off…holy crap. I’m not sure the age, although the cello is very, very yellowed. These are a favored line for me, and these specifically some of the best I’ve ever had. Either they’re just randomly great or I should be stockpiling these to lay down for years to come. Phenomenal. Caramel, coffee, pure/simple/beautiful toasty tobacco flavors. Join us next time for Episode 189, featuring the El Titan de Bronze Redemption Sungrown. If you would like to contact us, use any of the methods on the Contact Page. Past episodes are in the Half Ashed Archive. You can download this week’s audio directly in the summary at left, find us on iTunes, or subscribe with any podcast app at our RSS Feed. Raw video is available at the Half Ashed YouTube Channel.